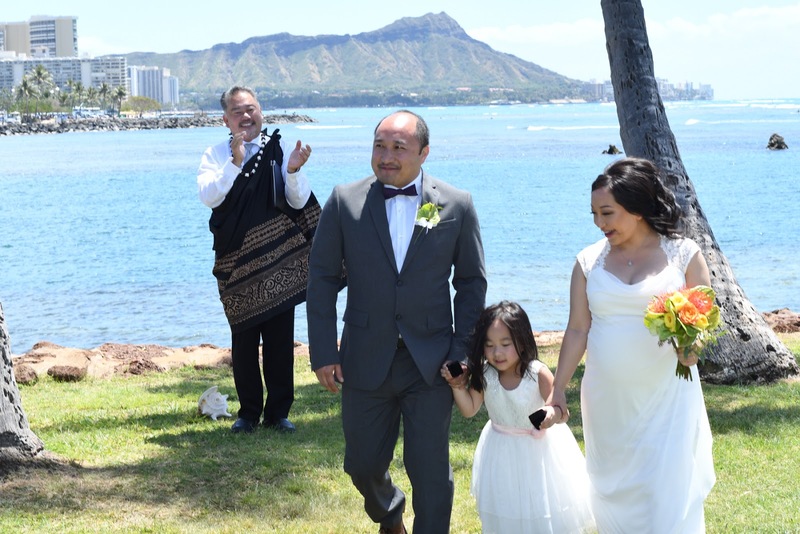 Rev John performs Vow Renewal ceremony for Chou & Lia. We're honored that they called us again. Welcome back! 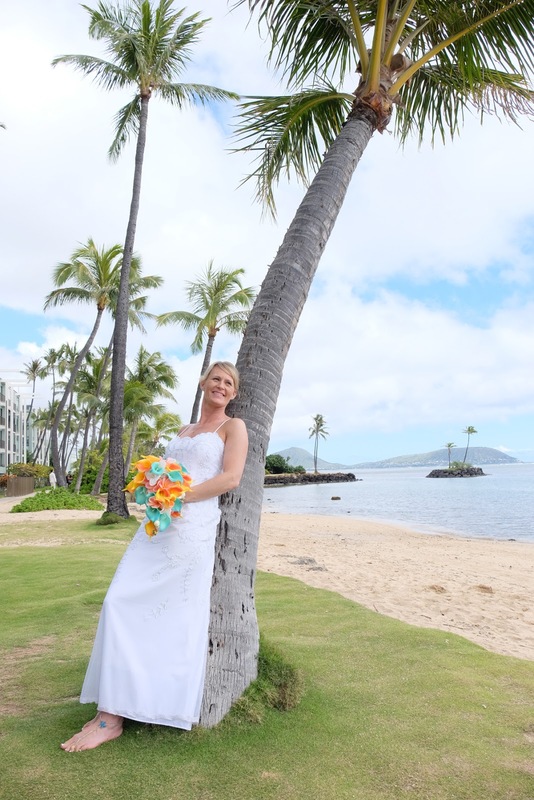 Repeat business is the best compliment. 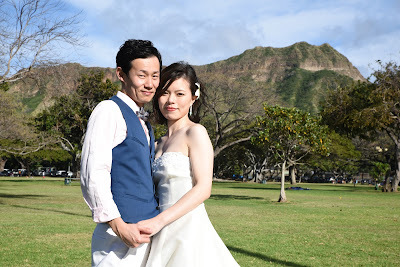 Wonderful Diamond Head view at Kapiolani Park at the East end of Waikiki. 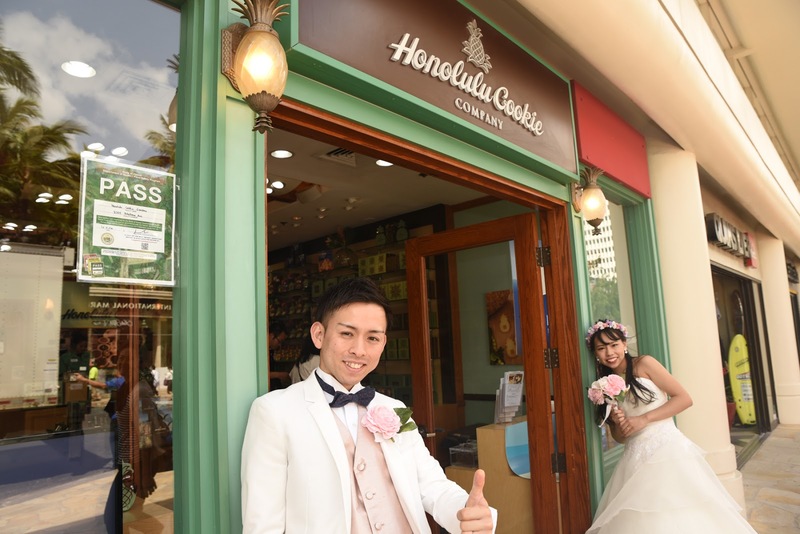 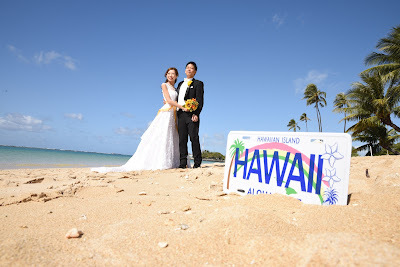 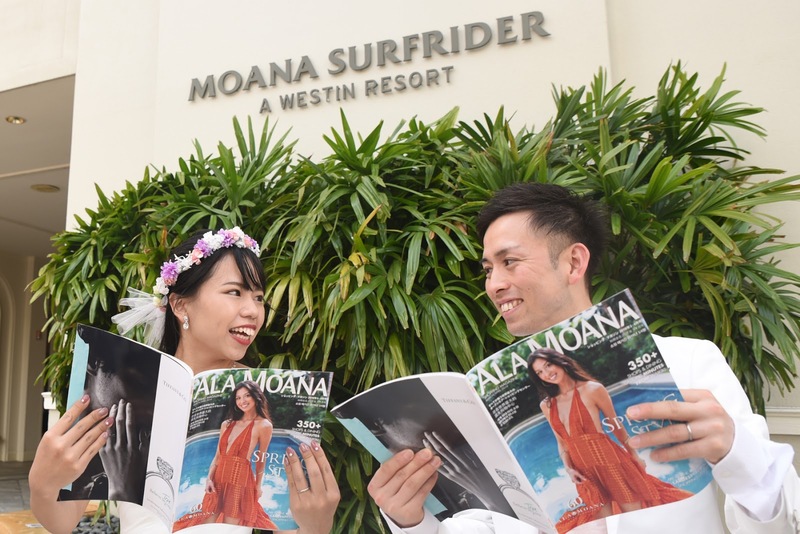 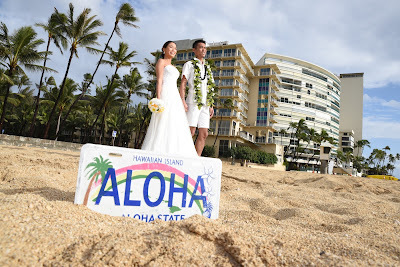 Great place to stop for a few honeymoon photos on your Oahu vacation. 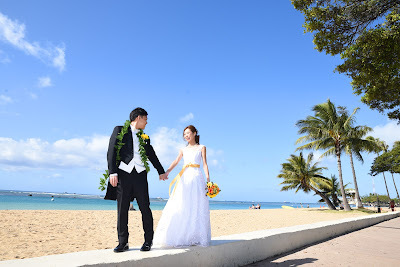 Across the street from Kapiolani Park is Kaimana Beach (and New Otani resort). 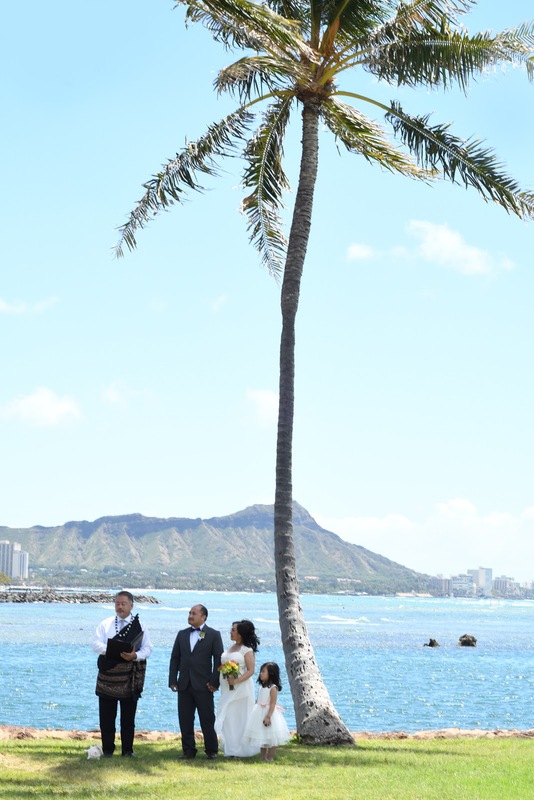 Awesome view of the Honolulu coastline beside the old Olympic ocean pool. 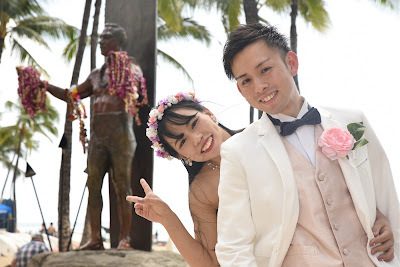 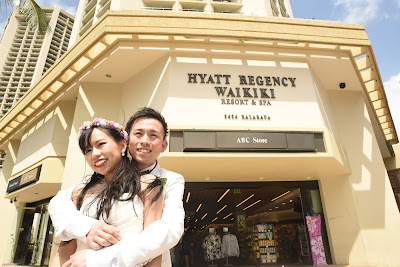 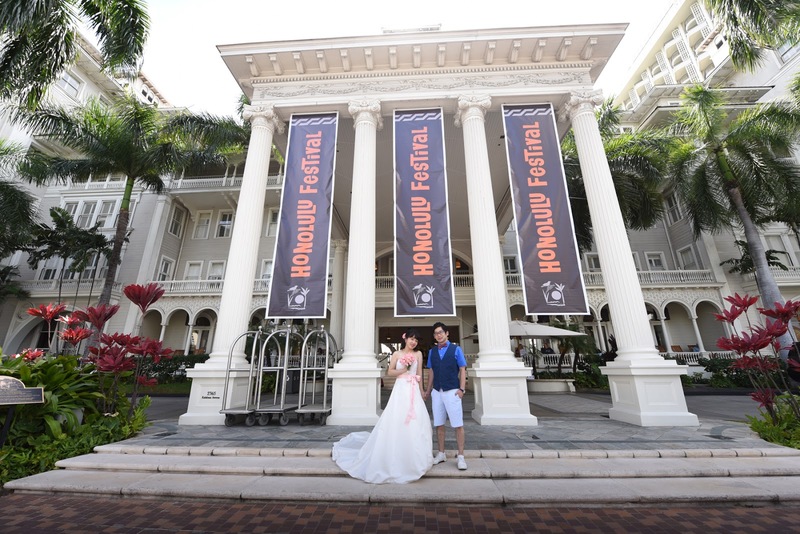 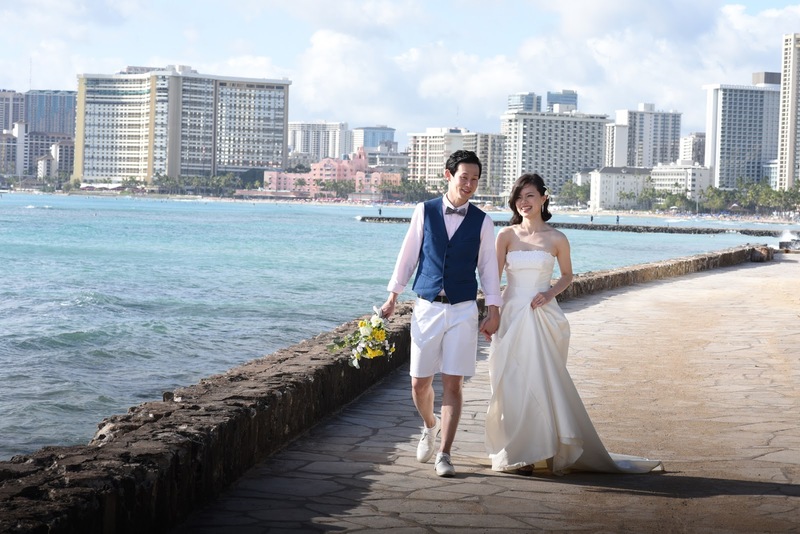 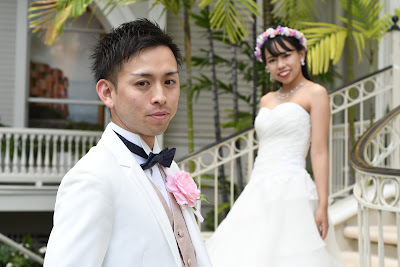 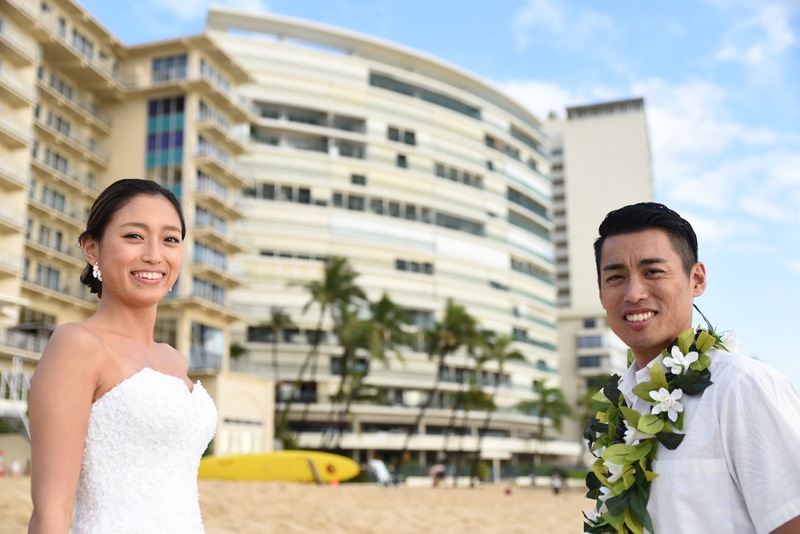 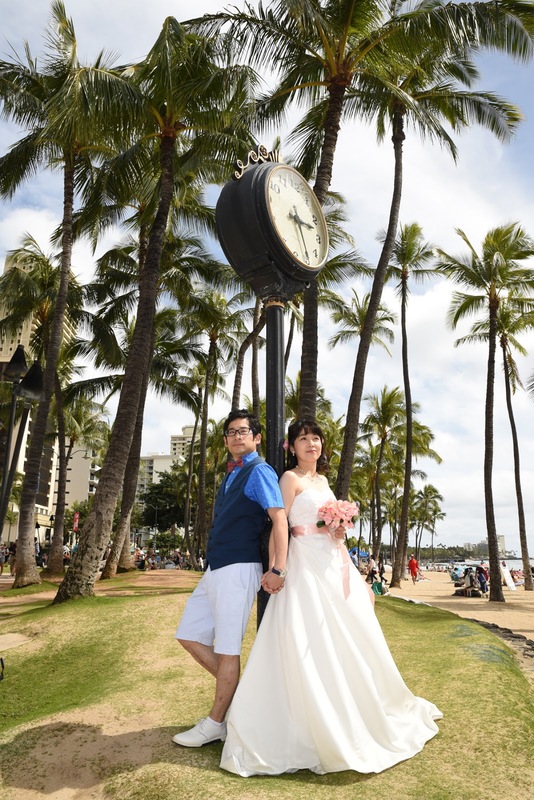 Bride and Groom stroll through Waikiki with our Photographer for some fun Hawaii Wedding Photos. 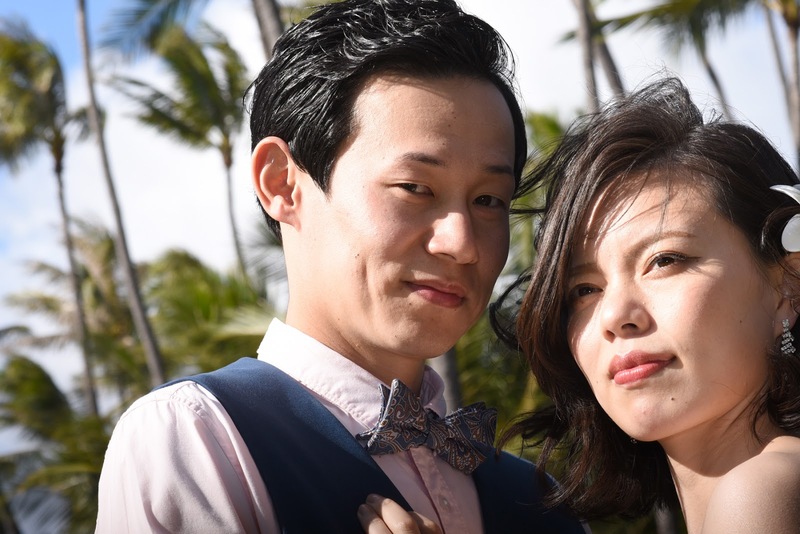 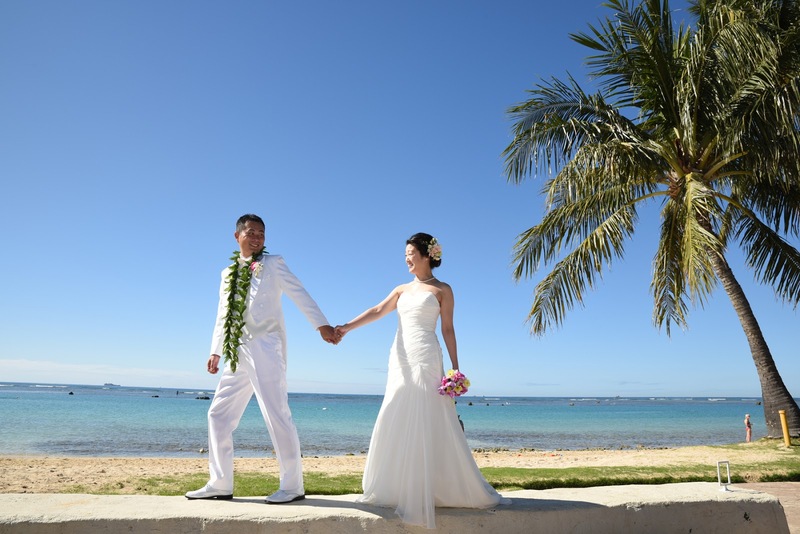 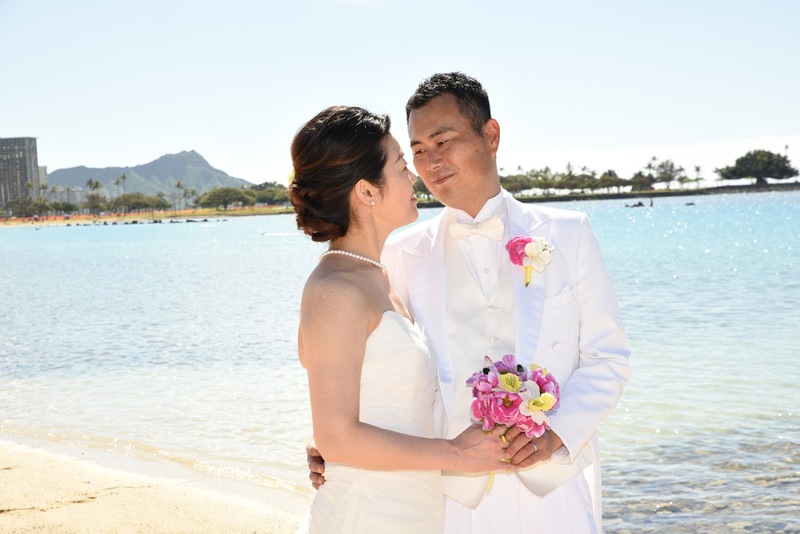 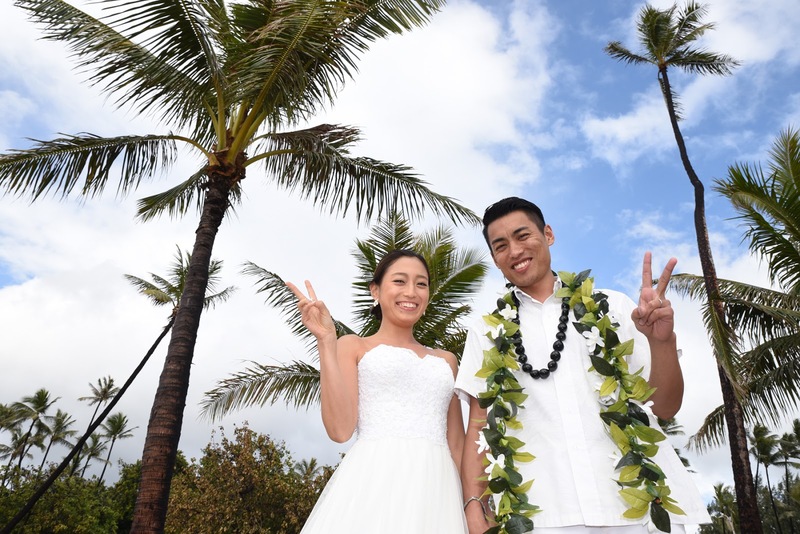 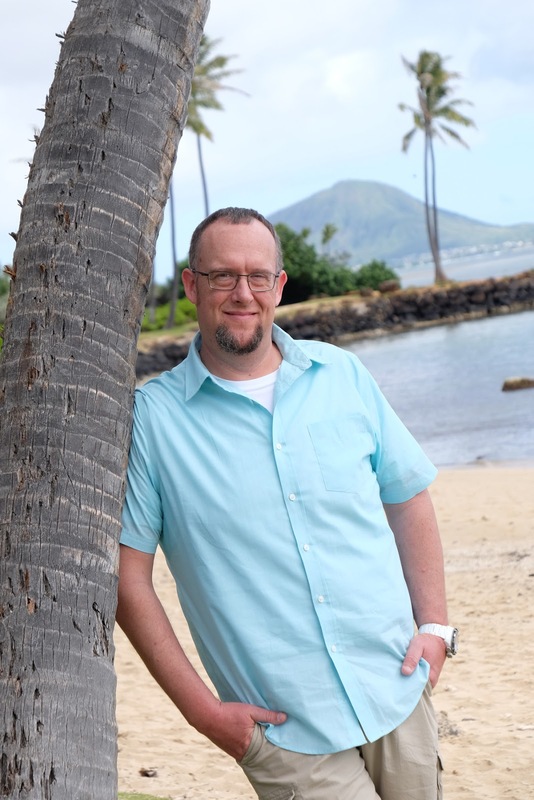 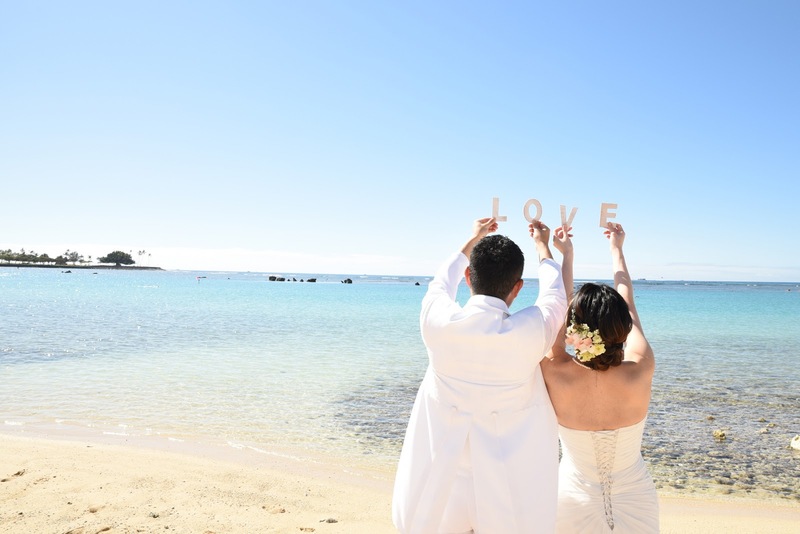 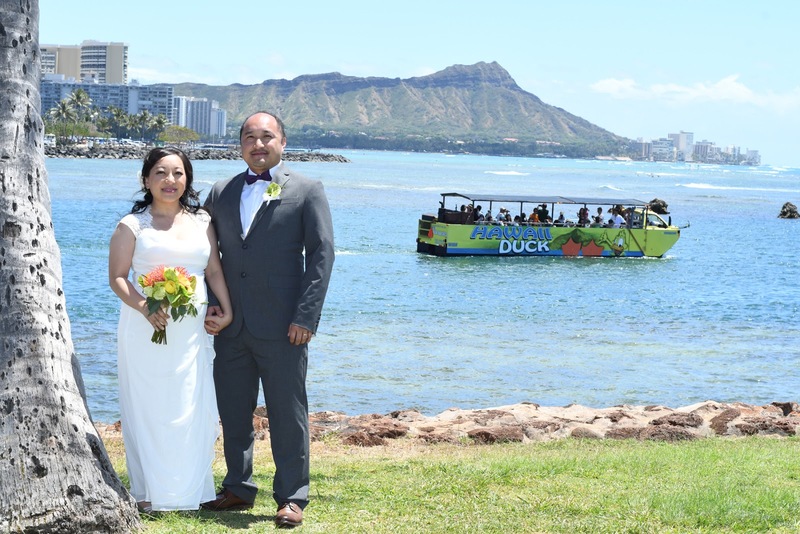 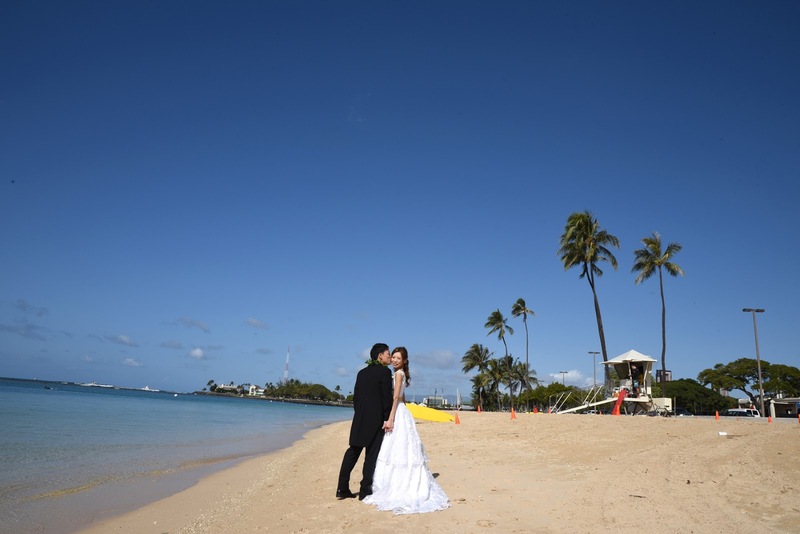 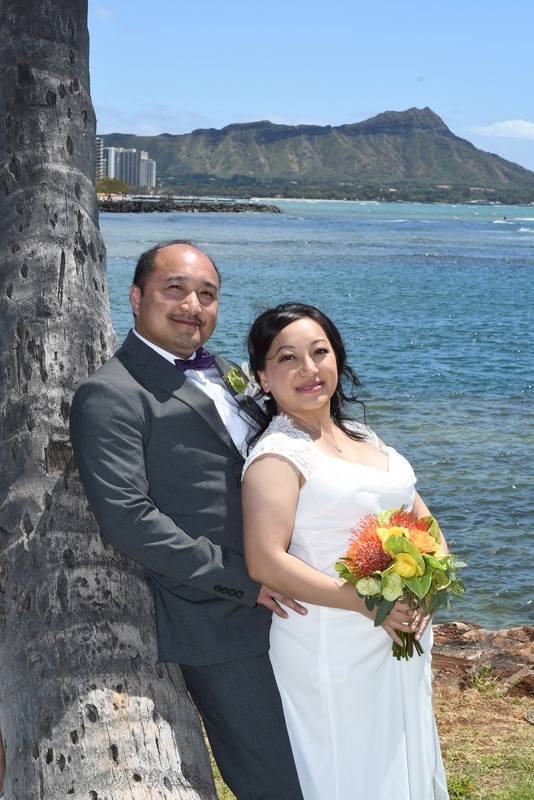 Jeffrey and Christine tie the knot at Kahala Beach. 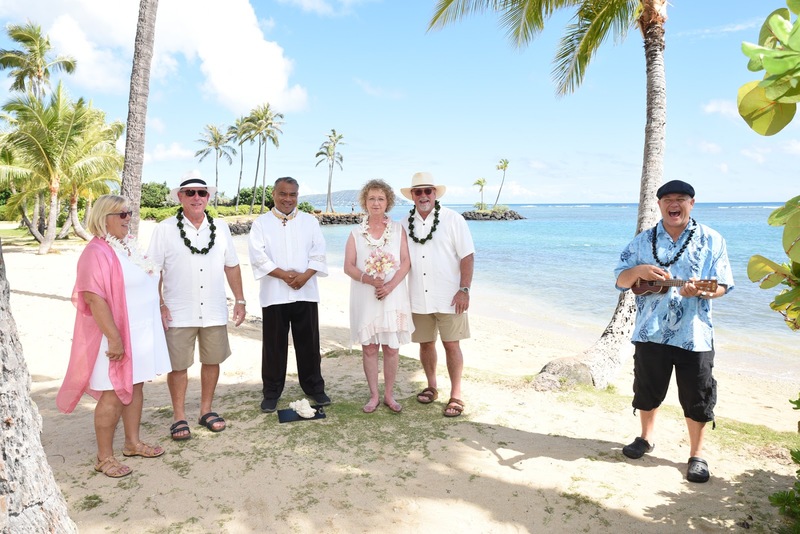 Ceremony by Rev Jofrey. 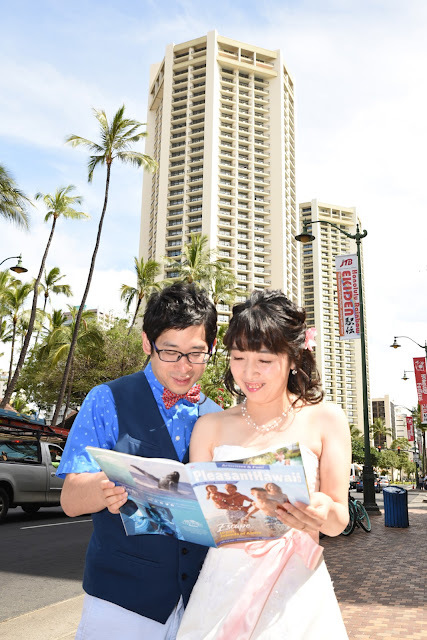 *Transportation from Waikiki available for $50.00 roundtrip. 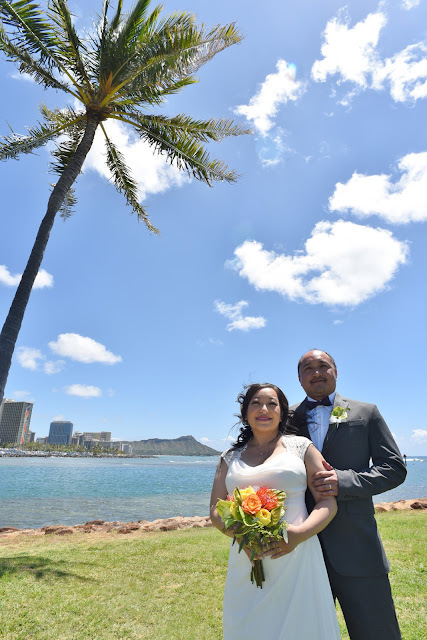 Bride and Groom standing on the white wall at Ala Moana Beach Park (near the tennis courts). 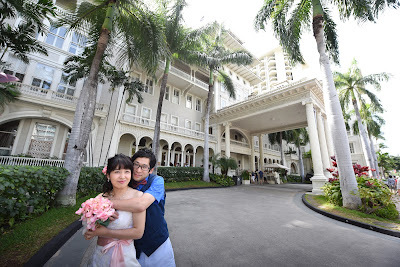 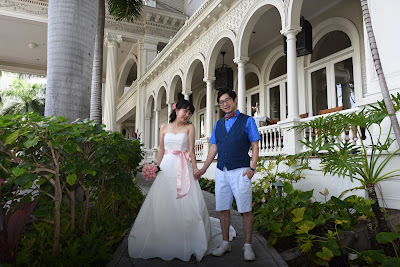 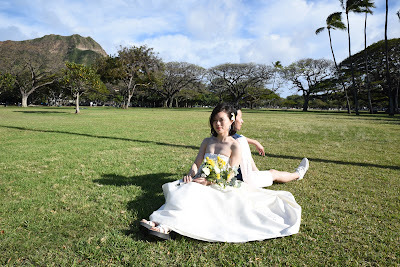 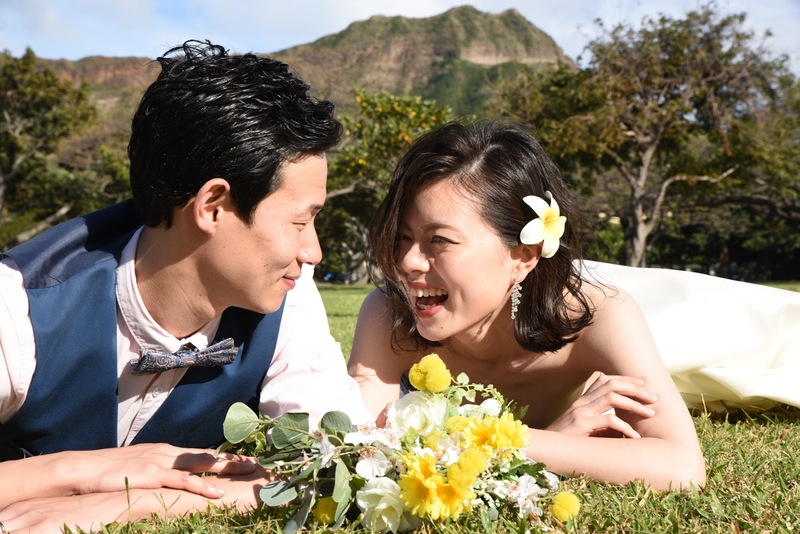 Beautiful spot in Honolulu for wedding photos, just 5 minutes from Waikiki. 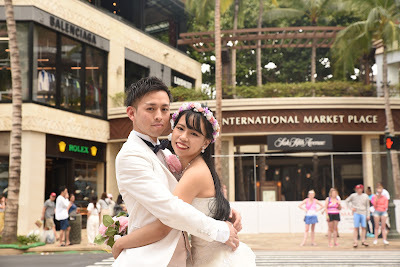 Where did he find this ring? Jeffrey and Connie tie the knot at Kalaha Beach with Rev. 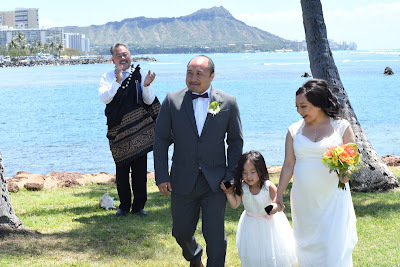 Jofrey officiating and Alika on Ukulele. 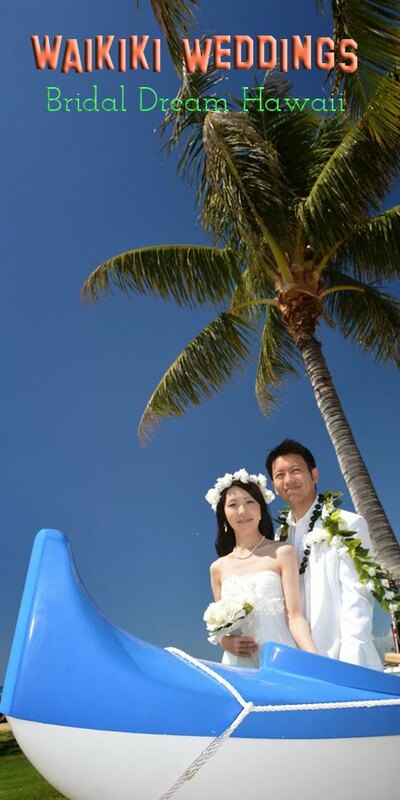 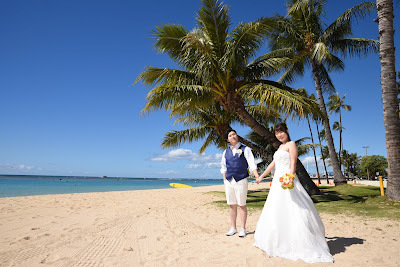 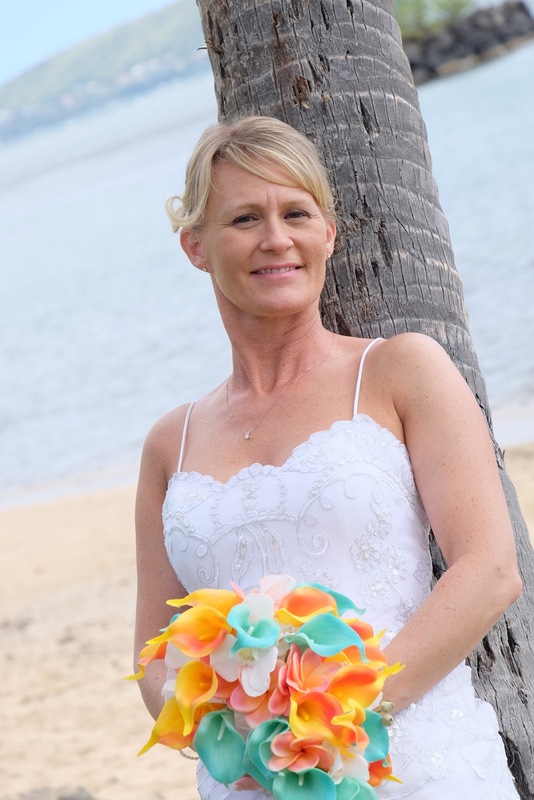 Beautiful wedding photo under the coconut tree at Ala Moana Beach Park. This photo has it all. 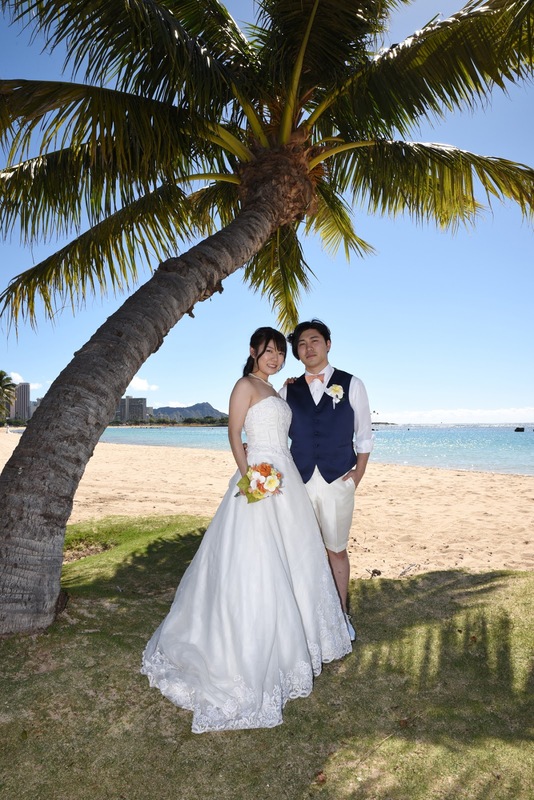 Blue sky, tropical scene, golden sand and Diamond Head.